Oh thats a great card. Maxie will be very happy with that! Great card. Great card Ruth am sure Maxie will love it. That's awesome Ruth. He's gonna love that. Can't believe how fantastic that spiderman has printed out. What printer, inks and paper do you use? Ah, the real stuff. I thought it might be. 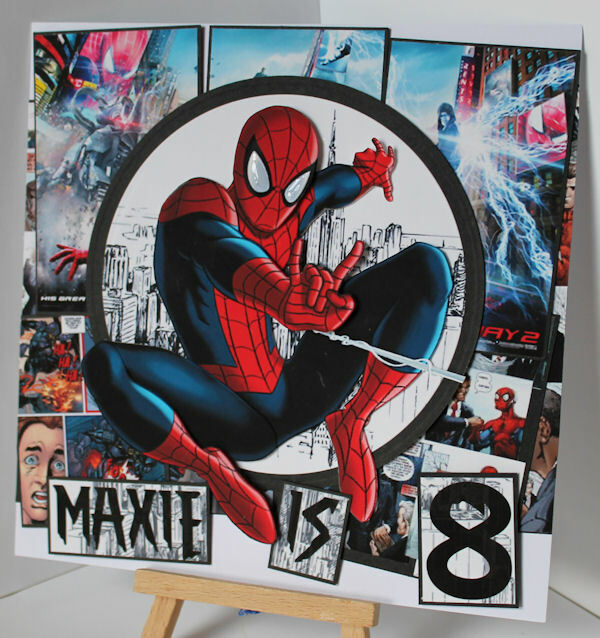 wow Maxie and who ever placed the order will be over the moon with this, more orders on there way (I hope) after folks see this.